* A $10.00 late fee will be assessed for all registrations after the March 29th deadline until the coaches meetings are held. NO REGISTRATIONS WILL BE TAKEN AFTER COACHES MEETINGS ARE HELD!!! This league is for girls ages 9 & 10 years (by September 1, 2019). A pitching machine will be used for this league. All players will bat & play defense. Machine will pitch from 35 feet. Games will be played at the Fisher South Field on Tuesday & Thursday evenings. A league tournament will be played at the end of league play. The Amateur Softball Association fast-pitch softball rules will govern this league for girls 11 - 13 years (by September 1, 2019). A twelve inch softball is used. Pitchers will pitch from 40 feet. Games will be played on Tuesday & Thursdays at the Fisher North Field. A league tournament will be played at the end of the season. 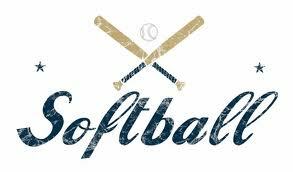 The Amateur Softball Association fast-pitch softball rules will govern this league for girls freshman and sophomore in the beginning of the 2019 school year. A twelve inch ball is used. Pitchers will pitch from 43 feet. Participants will be divided up accordingly dependant on the number of participants registered. Games will be played in Fort Scott and will compete against other area towns. This is an instructional program for 4 year old boys and girls (by September 1, 2019). Participants will play on Wednesdays at the Ellis Fields. An “incrediball” (safety ball) will be used. Emphasis will be on throwing, catching, hitting, running the bases and having fun. Boys and girls turning 5 or 6 (by September 1, 2019) are eligible to play in this co-ed league. Participants will play on Mondays at Ellis & 3rd Street Fields. An “incrediball” (safety ball) will be used. Emphasis is on learning the basic fundamentals & having fun! No score will be kept in this league.